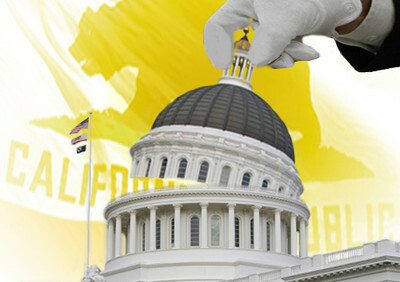 Updated September 2 Dozens of California lawmakers are expected to gather in the state Capitol this evening for an Iftar dinner – the meal breaking the daily fast for Muslims during the month of Ramadan. In doing so, the politicians are partnering with a group that federal law enforcement officials say is a Hamas-front. The Council on American-Islamic Relations' (CAIR) California chapter issued a news release Monday boasting that the dinner is co-hosted by Gov. Arnold Schwarzenegger, Speaker Karen Bass and Senate President Pro Tem Darrell Steinberg and 35 other lawmakers. **Update A spokeswoman for Speaker Karen Bass said the Speaker's name appeared on the co-host list without their authorization or knowledge. "The Speaker has nothing to do with this event," said spokeswoman Shannon Murphy. "We have no idea how this came about." A Schwarzenegger spokesman said the governor did not attend the dinner but agreed to be listed as a co-host because he "supports elevating the holiday." An aide in Steinberg's office confirmed that, while a co-host, he would not be attending the dinner. Public use of the Capitol's Eureka Room requires a member of the California Assembly's sponsorship. Assembly Member Dave Jones, who has spoken at numerous CAIR functions, helped reserve the room, records at the Joint Rules Committee show. Iftar dinners are fairly common. President Barack Obama is hosting a similar event at the White House continuing a tradition started by President George W. Bush. CAIR-California's release, which was distributed via email, says tonight's gathering in Sacramento is the 6th annual event. In those six years, however, incriminating information about CAIR has come to light. It's not clear whether the elected officials supporting the dinner don't know about them, don't believe them or don't care. The FBI last year cut off communication with the group, pointing to exhibits in evidence in the Hamas-support trial of the Holy Land Foundation for Relief and Development (HLF). Five former HLF officials were convicted last fall of illegally funneling more than $12 million to the Palestinian terrorist group. The FBI's case agent testified that CAIR was a Hamas front in the United States, with other exhibits showing it was part of a network of groups and individuals called the "Palestine Committee," which aimed to help Hamas financially and politically. Prosecutors say CAIR's very birth in 1994 is a part of that effort. In the fall of 1993, Hamas members and supporters met in Philadelphia to discuss ways to "derail" U.S.-led efforts to broker a peace deal between Israelis and Palestinians. The group opposed the plan because they feared it would marginalize the Islamist Hamas movement as the secular Fatah became the dominant power and because the group truly opposed a peaceful settlement, an ideal spelled out in the Hamas charter. FBI agents secretly recorded the meeting, capturing CAIR-founder and recently-retired Chairman-emeritus Omar Ahmad agreeing that "war is deception" and that it was not wise to discuss their true objectives openly – "We didn't say that to the Americans," he said. Executive Director Nihad Awad participated in the meetings, too, discussing media strategies. In one transcript, the group discussed creating a new political organization to advance the cause. Awad and Ahmad moved to Washington and opened CAIR the following summer. In explaining the FBI's cut-off to inquiring U.S. senators, an FBI liaison wrote that the evidence led to the conclusion that CAIR was not "an appropriate liaison partner." That would continue "until we can resolve whether there continues to be a connection between CAIR or its executives and HAMAS." See the letter here. Journalist Mary Jacoby notes that CAIR has responded by "working to stoke tensions in local Muslim communities over FBI investigative tactics. CAIR is angry at the FBI, because the bureau embarrassed it." The strongest line of attack has come in the FBI's use of informants in counter-terror investigations. Informants played significant roles in breaking up plots to attack the Fort Dix army base, to bomb New York synagogues and shoot down a military aircraft, and by Americans training to wage jihad abroad. CAIR officials have cast informants as "agent provocateurs," and gone to the wall in the case of Ahamdullah Niazi, charged with violating immigration laws and lying about his travels to Pakistan. The FBI targeted Niazi because his brother-in-law was a bodyguard to Osama bin Laden and he lied to government officials about his communication with his relative. In sworn testimony, an FBI agent said Niazi voluntarily described bin Laden as an angel talked of bombing targets in Southern California. "Unfortunately, the agency [FBI] seems to have been hijacked by individuals who are either driven by ideological right-wing politics and a goal of undermining President Obama's commitment to end the Bush years of fear and abuse, are influenced by their anti-Muslim bigotry, or are enjoying a lot of free time and, apparently, great job security." That's an interpretation not shared by terrorism analysts or even by Osama bin Laden. He has offered shifting justifications for his efforts to kill Americans. In his 1998 fatwa he said it was "an individual duty for every Muslim who can do it in any country in which it is possible to do it, in order to liberate the al-Aqsa Mosque and the holy mosque [Mecca] from their grip, and in order for their armies to move out of all the lands of Islam, defeated and unable to threaten any Muslim." Meanwhile, California politicians have been down this road before. In 2007, U.S. Sen. Barbara Boxer rescinded an award she bestowed on CAIR-Sacramento Director Basim Elkarra after being informed of CAIR's support of terrorists. "We made a bad mistake not researching the organization," Boxer told the Sacramento Bee. "If individuals are doing great work, I commend them personally, but not in the context of the organization." The governor lights a Christmas tree in the Capitol every year. Hosting an Iftar dinner by itself wouldn't be an issue. At some point, however, the depth of material showing CAIR's links with terrorists calls into question whether it is appropriate to continue such partnerships with the group.